If a decision is made to close or delay, an e-mail message will be sent to all students, faculty and staff. Closing announcements may be obtained by calling 214-SMU-INFO (214-768-4636). Closing announcements will be posted on the SMU website, via SMU’s Twitter feed at twitter.com/smu and on the University Facebook page at facebook.com/smudallas. 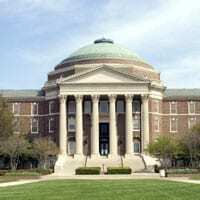 SMU News will contact the news media. Cases of the flu have been recently reported in North Texas, including several at SMU. Wash your hands with soap and water or use hand sanitizer frequently, especially after touching common surfaces (door handles, railings, etc.). If you have a fever or flu-like symptoms, do not go to work or class until 24 hours after you no longer have fever. Students who miss class should contact their professors about making up any missed assignments. Human Resources is developing guidelines for employees who miss work. The Provost is developing academic guidelines for faculty and staff. Regularly clean work surfaces and touch points (door handles, drawer pulls, chair arms, etc.) in your work area and home. SMU will distribute flu vaccine as soon as it becomes available to the University. The University remains in close contact with the Dallas County Health Department, the Texas Department of State Health Services, the Centers for Disease Control and Prevention, and the World Health Organization. The University also is monitoring the flu situation in other countries for those studying or teaching abroad. Learn more from SMU’s Flu Homepage. Even after a mild autumn, a North Texas winter can bring dangerous conditions. SMU aims to remain open – but when the weather outside is frightful, the University has procedures in place to ensure faculty, staff and students know where to go for information about school closings and delays. Find more at the University’s Inclement Weather Policy page.